On average the expected lifespan of a German Shepherd Dog is between 10 and 13 years, with frequent examples in excess of those figures. This is a wonderful achievement. Firstly for the animal, for the breed is not precluded from illness and ailments. The owners of these senior citizens are also to be congratulated as their input has been invaluable, giving their companion the love and attention necessary to reach this wonderful age. From a bundle of fluff through the naughty months prior to maturity and then growing old gracefully. Breeders also have had the input of selecting suitable stock and providing an environment for mum and puppies to thrive in prior to leaving the nest. The GSDCV presents the 13 Club, a way in which a dog which has celebrated its 13th birthday, along with the owner and breeder, could be recognised. The 13 Club concept was originally proposed by GSD enthusiast Barb Lewis. Some of our records are missing. If you and your dog have been awarded a 13 Club certificate, please let us know here so you can be added to the honour roll below. 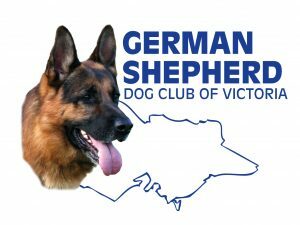 If you have a purebred GSD who’s reached the great age of 13, apply here for your 13 Club Certificate and recognition of such a great achievement.